Torco Ford Limited Slip Additive - 4 oz. Torco GM Limited Slip Additive - 4 oz. 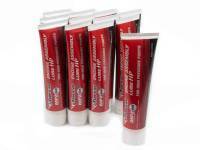 Torco MPZ Engine Assembly Lube - 1 oz. Torco MPZ Magnetic Friction Reducer - 12 oz. Pit Stop USA is The Online Motorsports Superstore! Torco SR-1 Synthetic Blend Motor Oil is a selective cross blend of highly advanced 100% synthetic base oils and proprietary additives aimed at power efficiency and engine protection. Torco TR-1 Racing Motor Oil comes from an original series of motor oils called MPZ Racing Oils. Torco TR-1 is a tried and proven race formula that offers excellent thermal stability under extreme RPM and high operating temperatures of modern racing engines. Torco TR-4 Synthetic Blend 20w50 Racing Oil with MPZ is a blend of petroleum and synthetic bases with special polymers. Torco TR-4 Racing Oil will flow freely in cold engines and maintain a consistent film when hot for improed ring seal, reduced valve spring wear and increased engine life. Torco SR-1 Synthetic Blend Motor Oil is the ultimate in high performance synthetic motor oil technology. Developed under the most severe racing conditions, Torco SR-5 Synthetic Racing Oil offers the highest level of performance and protection for highly modified race engines. Torco SGO Synthetic Racing Gear Oil is designed to maximize power efficiency and provide the highest level of gear protection under the most severe speed and load conditions. Torco RGO Racing Gear Oil is formulated using highly refined petroleum base stocks and select additive systems to improve gear protection and high temperature stability. Torco RTF Racing Transmission Fluid is specifically engineered to reduce fluid drag for increased power efficiency without compromising component durability. Torco MPZ Engine Assembly Lube is favored by professional mechanics for assembling many internal mechanical components including wrist pins, pistons, bushings, plain bearings, ball bearings, roller bearings, journals and transmission components. Torco MPZ Magnetic Friction Reducer is the same race proven, friction reducing technology in every Torco "Professional Series" motor oil. 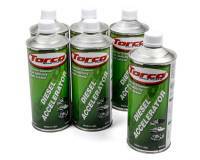 We feature Torco Oil products at low everyday prices!